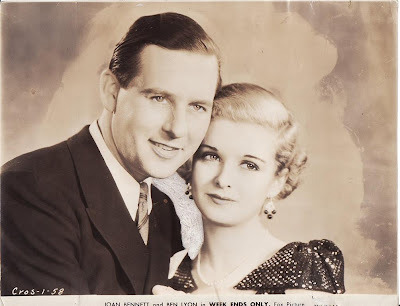 Eighteen-year-old Joan Bennett had intended to avoid the Bennett tradition of acting but, divorced and with a child to support, she accepted a role in her father's play "Jarnegan", then her first leading film role in Bulldog Drummond (1929). 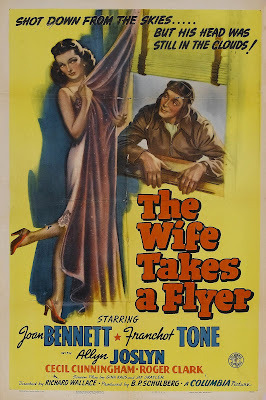 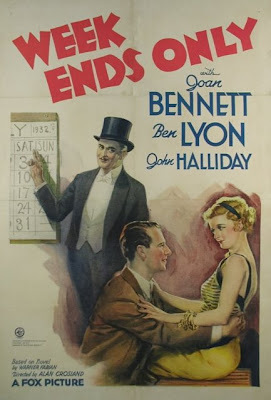 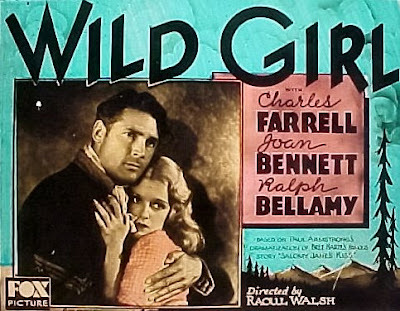 Her popularity growing, she made 14 films under a Fox contract, mostly as vapid blonde ingenues; the best of these, Me and My Gal (1932), as a wisecracking waitress. 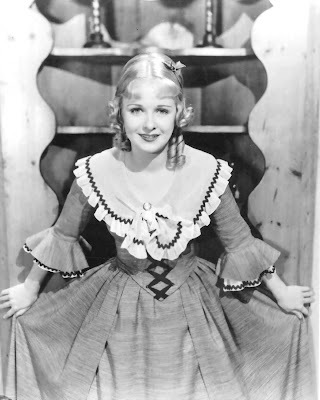 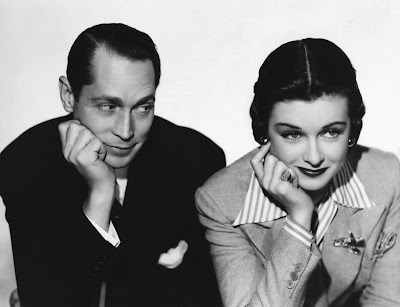 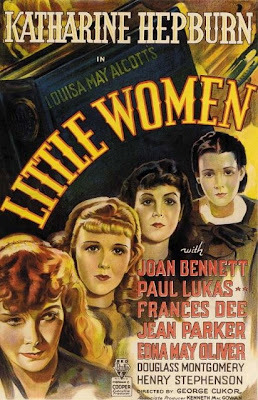 Leaving Fox to appear in Little Women (1933), she then signed a personal contract with independent producer Walter Wanger, who managed her career from then on. 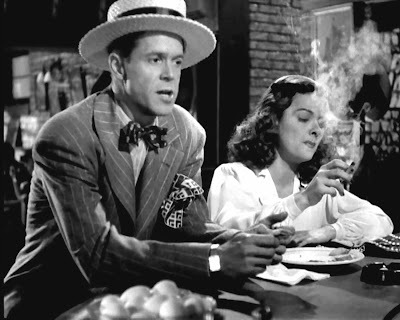 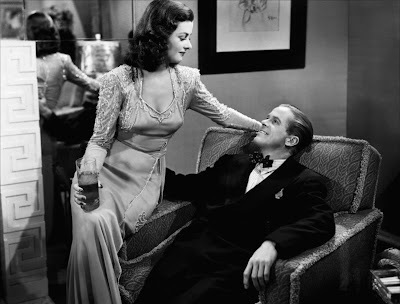 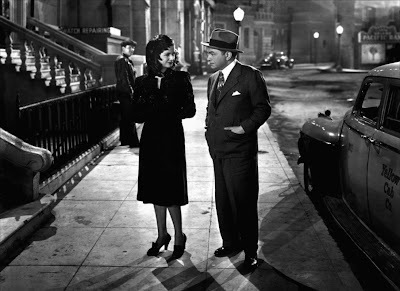 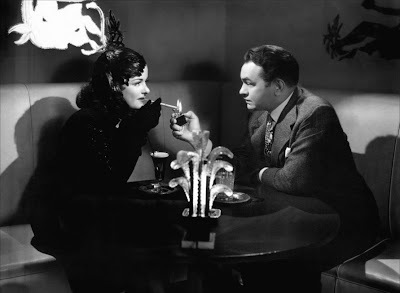 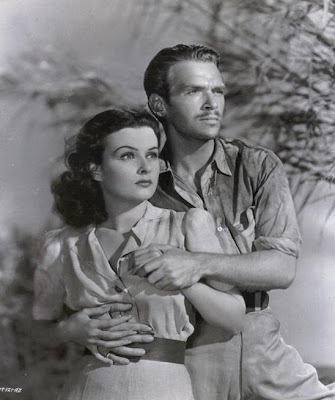 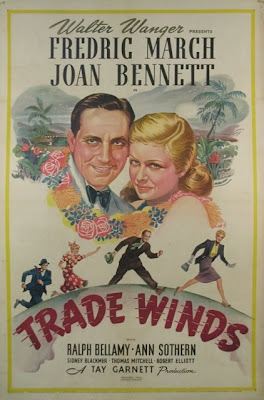 In Trade Winds (1938), Joan plays murder suspect Kay Kerrigan, who flees the police and is pursued around the world by detective Fredric March. 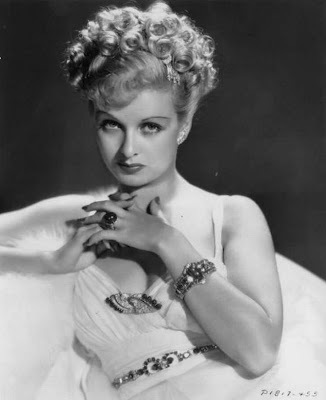 To disguise herself, Kay dies her blonde hair brunette. 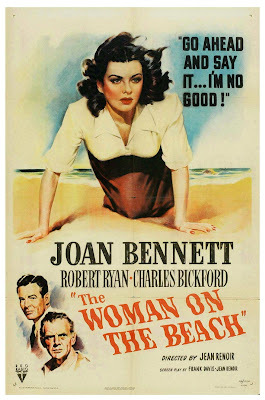 Joan's new hair color was meant to be a one-time gimmick, but Trade Winds was a box office hit and Joan's dark, sultry new look a sensation. 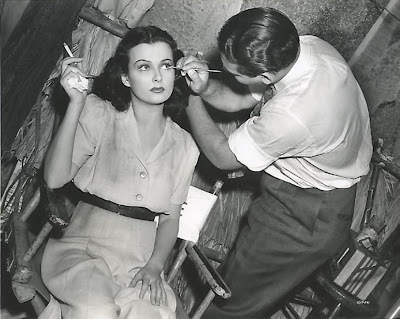 "After that film," Joan said, "everybody liked me in dark hair so I turned my hair dark and got much better parts." 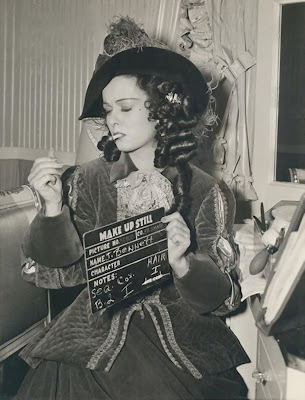 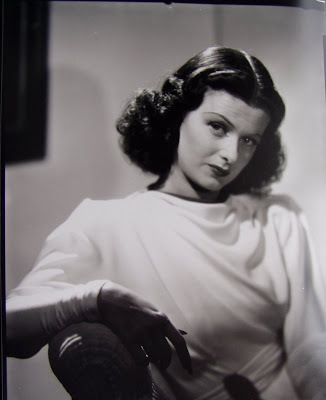 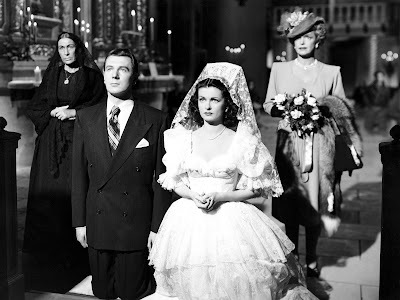 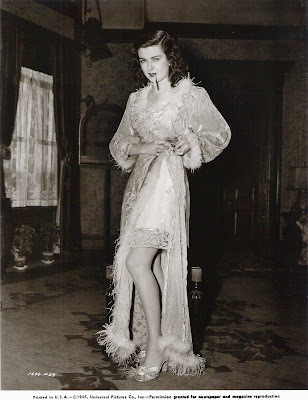 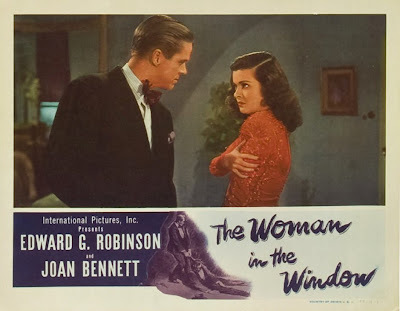 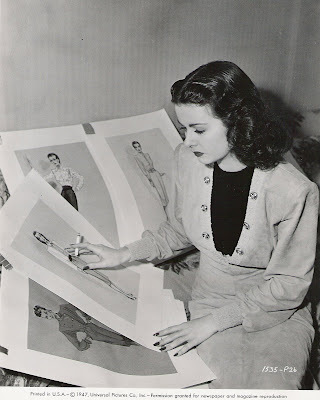 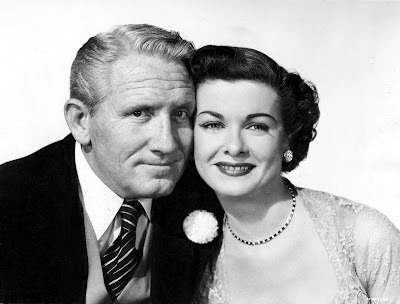 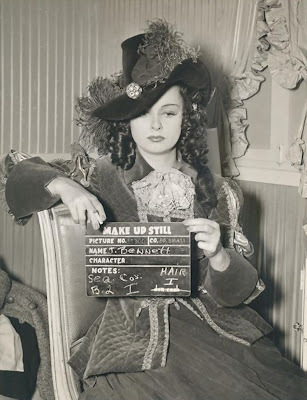 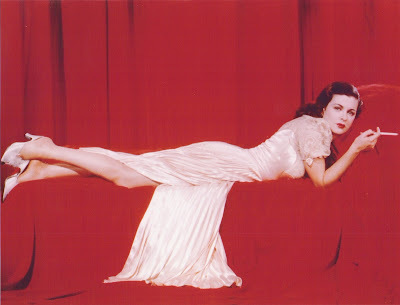 Joan Bennett remained brunette, both personally and professionally, for the rest of her life. 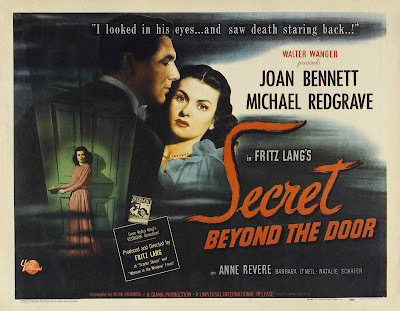 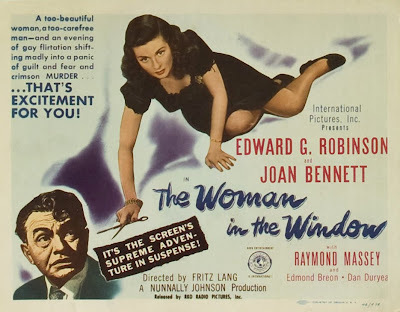 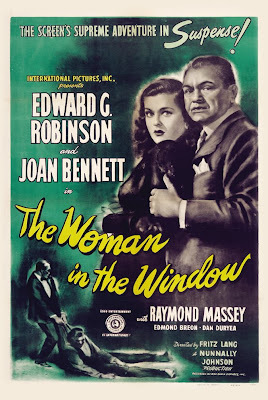 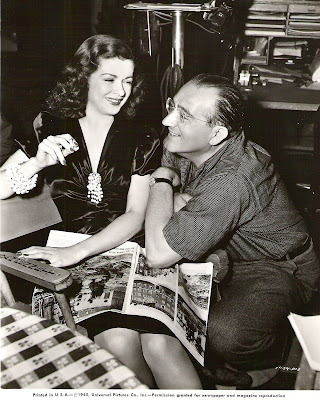 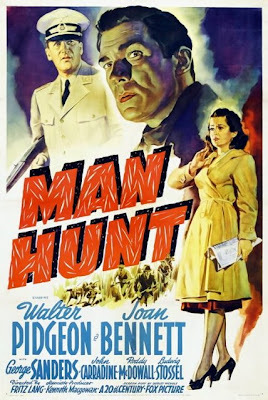 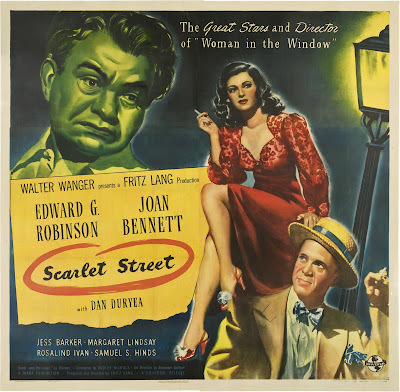 Joan made her finest films in the 1940s with director Fritz Lang: Man Hunt (1941), The Woman in the Window (1944), Scarlet Street (1945) and Secret Beyond the Door... (1948). 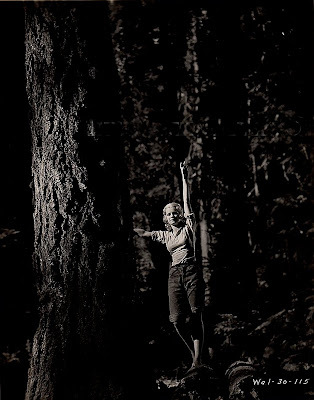 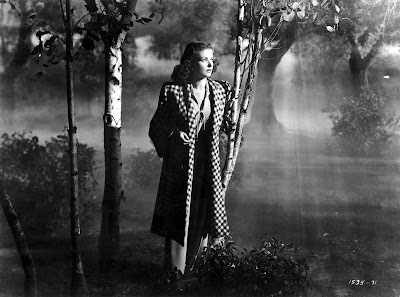 Under his tutelage, she became the queen of film-noir femme fatales. 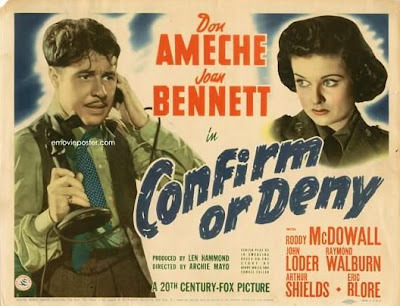 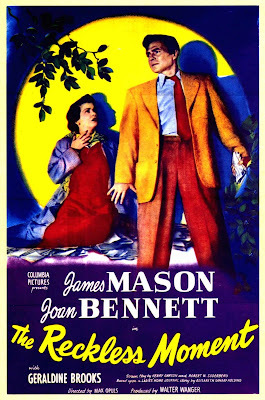 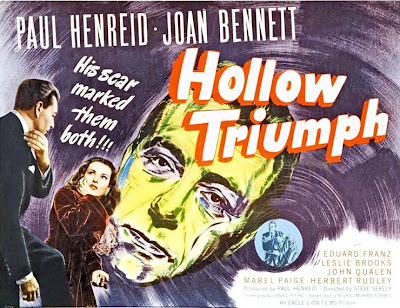 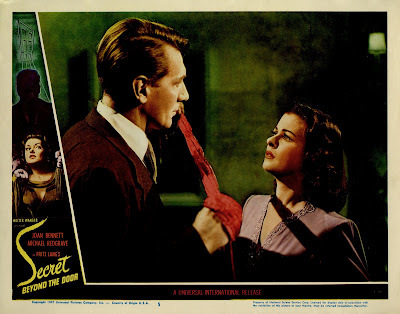 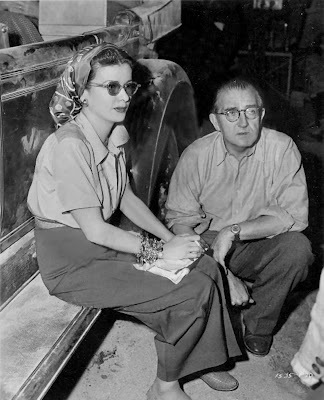 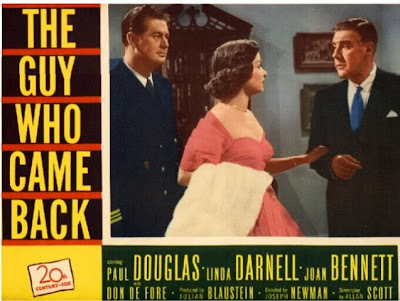 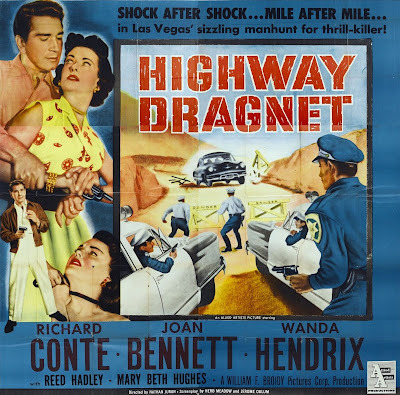 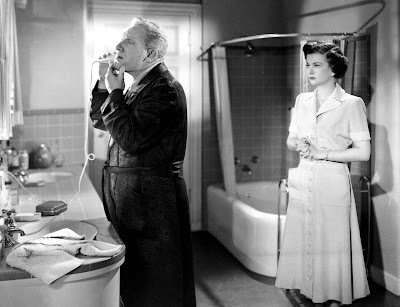 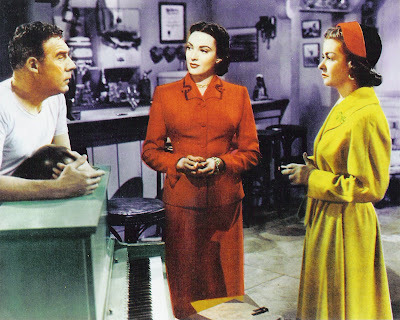 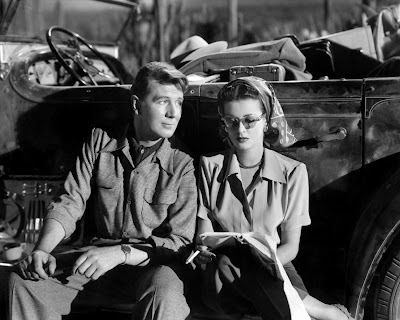 Other films noir in the Joan Bennett resume included The Woman on the Beach (1947), Hollow Triumph (1948), The Reckless Moment (1949) and Highway Dragnet (1954). 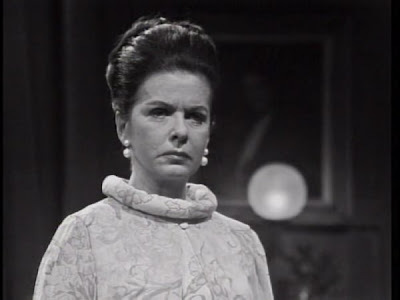 Joan's career had a revival in the 1960s, when she played Elizabeth Collins Stoddard in the long running gothic horror soap opera "Dark Shadows" (1966-1971) on TV. 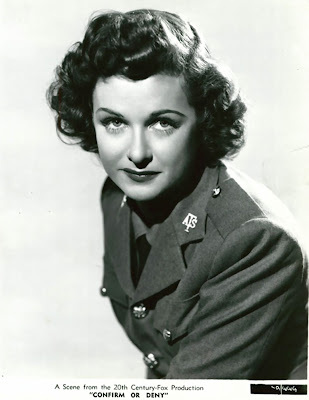 The series achieved a cult following and she is quoted as saying "I feel positively like a Beatle, " in response to the attention she was getting with the success of the TV series.